Finding a dealership with a professional, knowledgeable staff who can answer any car-buying questions you may have isn’t easy, and finding one close to home is even harder. 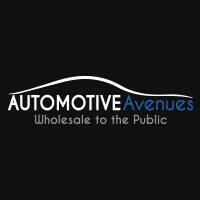 Located just 13 short minutes away from Tinton Falls, Automotive Avenues has you covered. Whether you’re looking for reliable, quality used cars or for a finance center that can get you the most competitive rates around on a car loan, our used car dealer is your go-to destination. Easily accessible from Tinton Falls, we make car buying easy. Our superior selection of wholesale priced used cars gives you all the options you need to be sure you’ve made the perfect decision, but don’t take our work for it. Check out reviews to see what our customers have said about their visit to our Tinton Falls area used car dealership. “Awesome dealership! I wasn’t pressured into anything like most try to do. Got a deal on a good car. Super simple process. Check them out if you’re looking!” -Randy A. “I had such a great experience buying a car here. The people were so warm and welcoming. Nicky was a great salesperson! Defiantly will be back!” -Mickey S.
“I had a wonderful experience! Patrick was ready to help me out with any and all questions and made it a very smooth process to get the car I wanted. Very informative and professional. 10,000 stars!” -Heather W.
Contact us online for more information about our used car dealership serving Tinton Falls or give us a call at at (844) 455-4372.